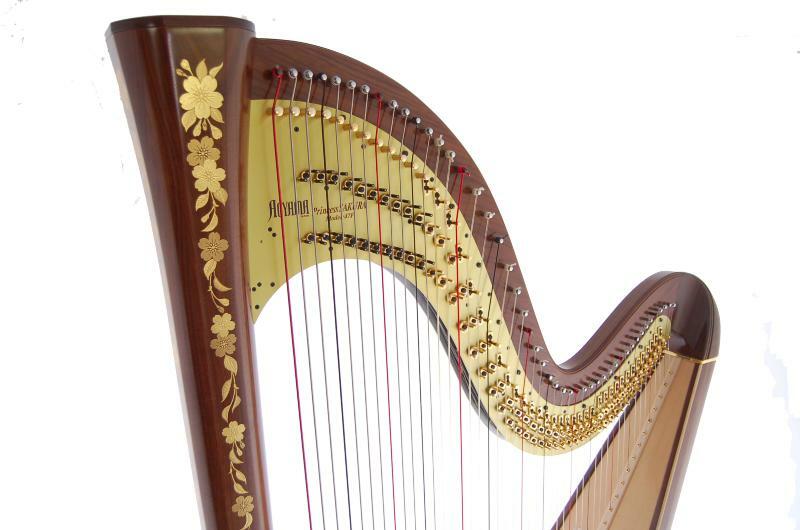 Fit for royalty - and the most demanding harpist! 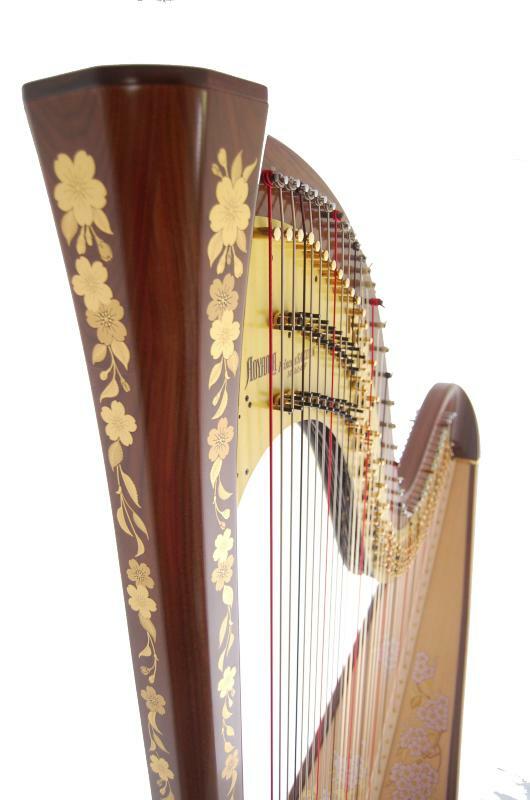 Exquisite cherry blossom decoration set against a rich natural walnut finish certainly makes this harp stand out from the crowd. 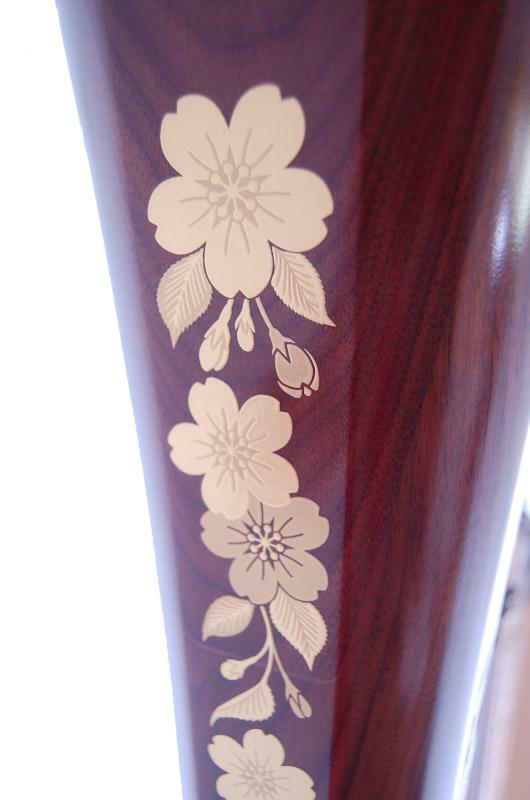 Yet the Princess Sakura is not just a pretty face. 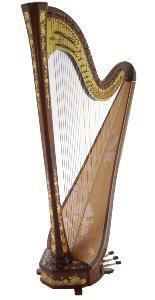 Aoyama has created a harp that is a joy to play, with quick articulation and a light and responsive action. 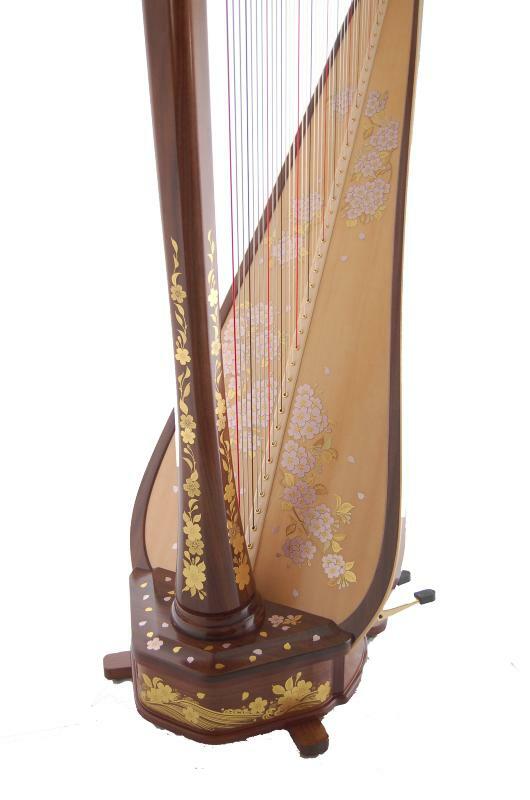 Any harpist who is constantly on the move with their harp will also be delighted at how light the Princess Sakura is on her feet. This harp features a full 47 string compass and extended soundboard, yet weighs a mere 28.8kg - about 15% lighter than standard concert harps. 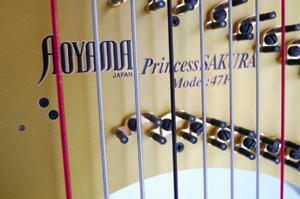 Even better, innovative new construction techniques have allowed Aoyama to significantly reduce the weight and frame size without compromising on the sound quality: The Princess Sakura retains a warm, vibrant and full tone with clear, balanced projection. 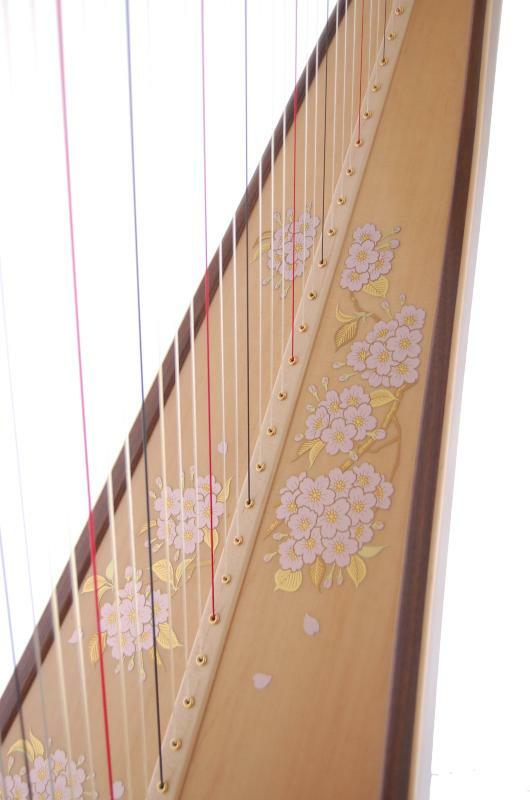 The Princess Sakura is aslo available without the cherry blossom decoration. 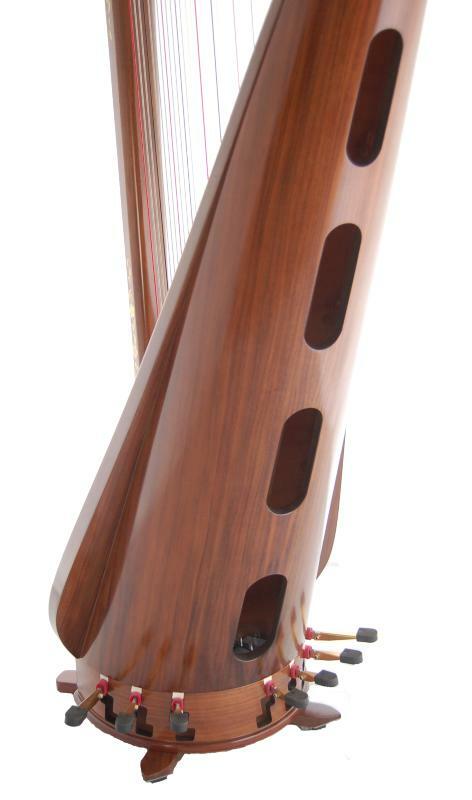 The undecorated version is known as the Aeolian 47.